Toshiba launched the railway system business in 1899. Since then, Toshiba, has been a top locomotive manufacturer, producing diesel trains, electric trains, and rail infrastructure. 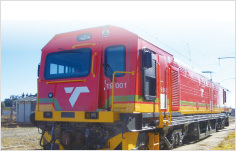 In Africa, since we started supply of diesel locomotives to Zambia and Zaire, we have supplied over 300 electric locomotives for South Africa and Morocco, while also supplying over 1,500 sets of electrical equipment for EMU in Egypt. 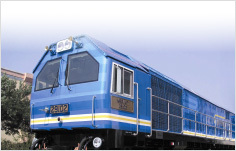 Toshiba has been working to improve on every requirement of railway transportation such as environment adaptation, safety, punctuality, comfort, and reliability. 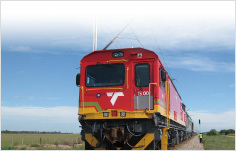 Toshiba brings advanced technologies for rolling stock systems, power supply systems, and information systems on a global scale.